Charles Wesley is best remembered for writing hymns and sacred poetry, but he was also a dynamic preacher who brought creativity and thoughtfulness to the composition of his sermons. Charles had an impressive resume: he was the founder of the Holy Club in Oxford, the assistant to James Oglethorpe in Georgia, and a leading evangelist who helped extend the Methodist movement across the British Isles. Charles had a spiritual experience similar to John’s just days before John’s heart was “strangely warmed.” Charles also maintained a relentless commitment to the Church of England. He held that the Methodist movement should only operate within the bounds of Anglicanism (not separate from it), which put him at odds with his brother, particularly when John ordained Thomas Coke and made provisions for a newly established Methodist church in America. 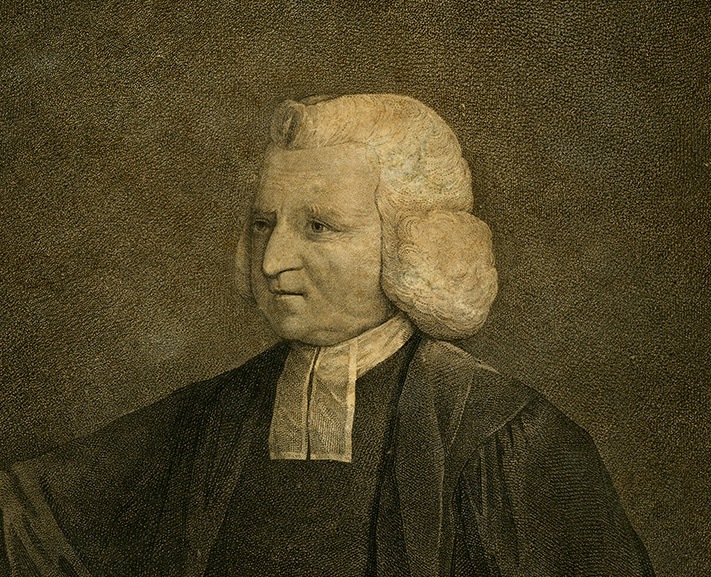 George Whitefield was a member of the Oxford Holy Club and a close associate of John and Charles Wesley. Whitefield played an important role in the early Methodist movement. Because he was a Calvinist, his branch of Methodism was distinguished from that of the Wesley brothers. In 1738, Whitefield served as rector of the Savannah church, taking over for John Wesley who had vacated that position the year prior. The following year Whitefield returned to England to raise money for a Savannah orphanage. During this period, his evangelical work escalated and he established congregations in Bristol and London. When Whitefield returned to Georgia, he handed these congregations over to John Wesley. 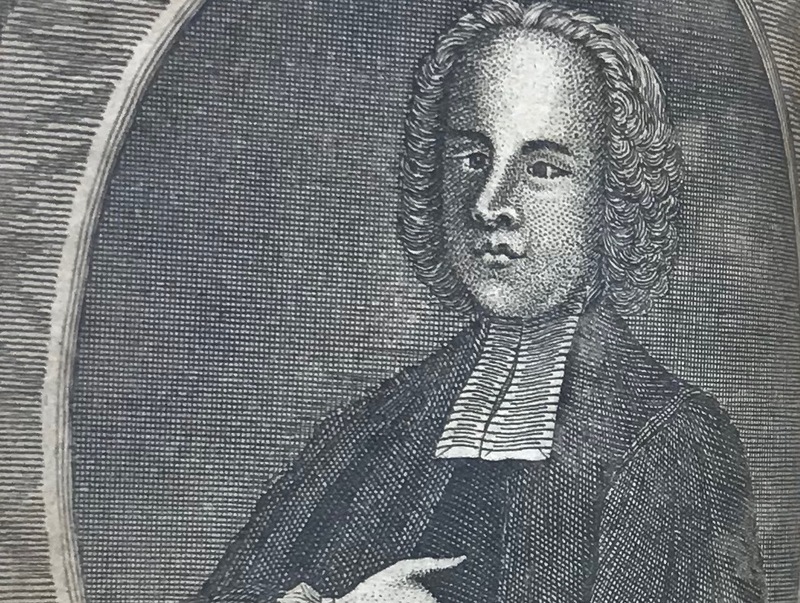 In 1740, Whitefield established the Bethesda orphanage and then went on a preaching tour to help spark what became known as the “Great Awakening” in North America. 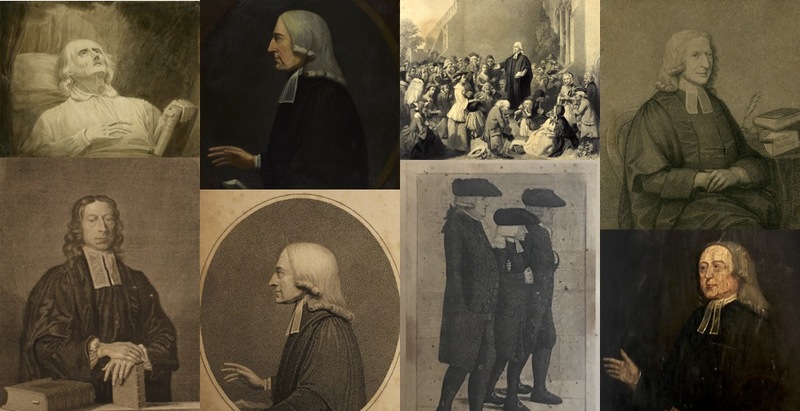 Though eventually going separate ways, Whitefield and the Wesleys remained on good terms, and John Wesley preached at Whitefield’s funeral in London in 1770. John Wesley sat for a number of portraits during his lifetime, and Wesley himself approved of many of the representations of his appearance. There were also independent or even antagonistic portrayals of him, especially as more people opposed his movement. The painting of John Wesley that is featured in this exhibition’s artwork is housed in Pitts Theology Library’s Special Collections. It is attributed to Henry Edridge around 1790, towards the end of Wesley’s life. Despite Wesley’s own claims that certain portraits were “an exact likeness” or “a most striking likeness,” the only exact representation of his face is the impression of it preserved in his death mask.